Because You Love Your Beach! Looking for a way to show your love for Boston Harbor? 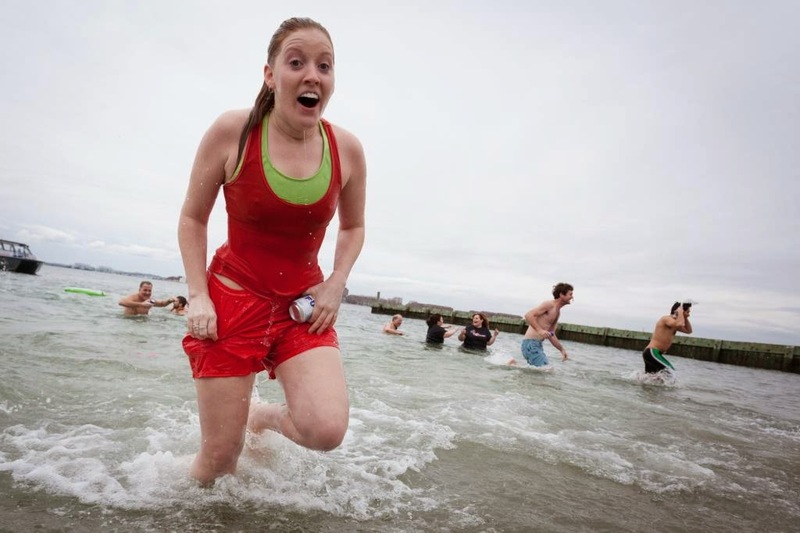 Register for the 2015 Harpoon Helps Cupid Splash, which takes place on Saturday, March 21st at the BCYF Curley Community Center at M Street Beach in South Boston. 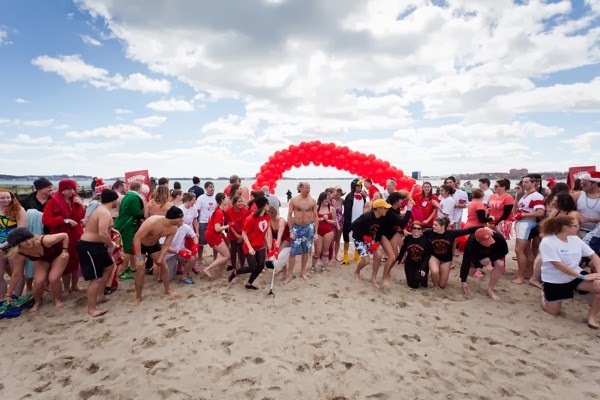 This year’s cold-water plunge and pledge fundraiser marks the fifth annual Harpoon Helps Cupid Splash to benefit Save the Harbor/Save the Bay's Better Beaches Program and we are hoping to make it a record-breaking event this year! “We’re really lucky to have great beaches, and great partners like Harpoon Brewery and JetBlue, who share our commitment to our community and our love for these beaches” said Bruce Berman, Save the Harbor’s Director of Strategy, Communications, and Programs. This year there are SIX ways to win a round trip ticket on JetBlue! The top 2 overall fundraisers each win a ticket (must raise a minimum of $1,000), the best costume for male and female each win a ticket, everyone who makes a contribution (registration, donation or pledge) is entered in a raffle to win a ticket, everyone who raises at least $1,000 will be entered into the Elite Raffle to win a ticket, and those who raise $100 or more have a chance to win t-shirts, Red Sox tickets, a hotel stay, and Harpoon hoodies. Check out the Cupid Splash website for more details! Check out this great video to see photos from last year's Cupid Splash and learn more about the event! To register online for the Cupid Splash, visit www.cupidsplash.com. Registration is easy and provides each participant with an individualized page to set a fundraising goal and track progress, as well as a link to send to friends and family to encourage them to donate! There is even an option to register as a “chicken” and raise money without actually plunging into the harbor. Funds raised go to support free events and programs on the public beaches in Lynn, Nahant, Revere, Winthrop, East Boston, South Boston, Dorchester, Quincy, and Hull. 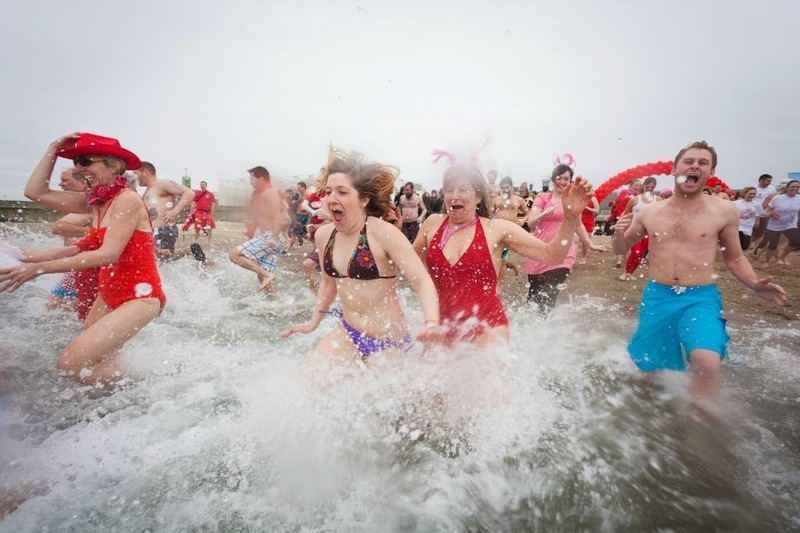 For more details about the 2015 Cupid Splash, visit www.cupidsplash.com or email Susan Woods at woods@savetheharbor.org. We hope to see you on the harbor to support this great cause on March 21st for an adrenaline rush, a refreshing Harpoon beer, and a burger with your friends! 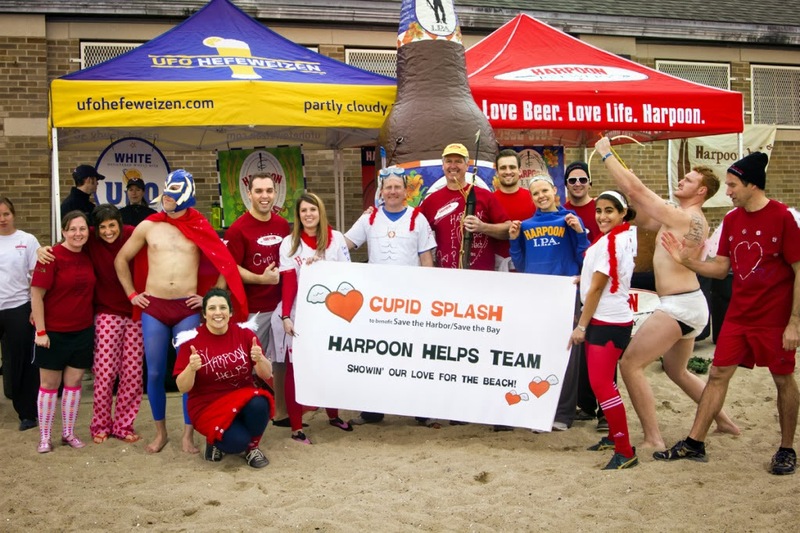 If you have any great pictures from past Harpoon Helps Cupid Splash events please share them with us! 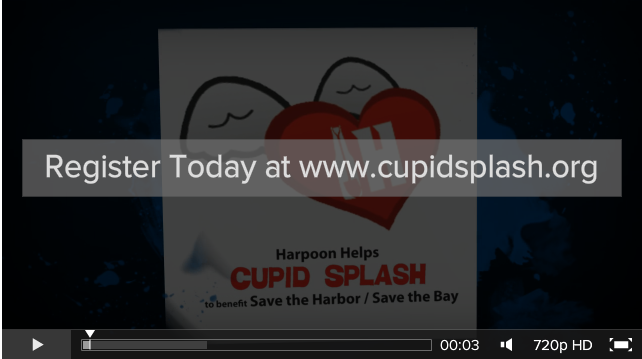 Post them on Facebook, Twitter, or Instagram using #savetheharbor, #harpoonhelps, and #cupidsplash! 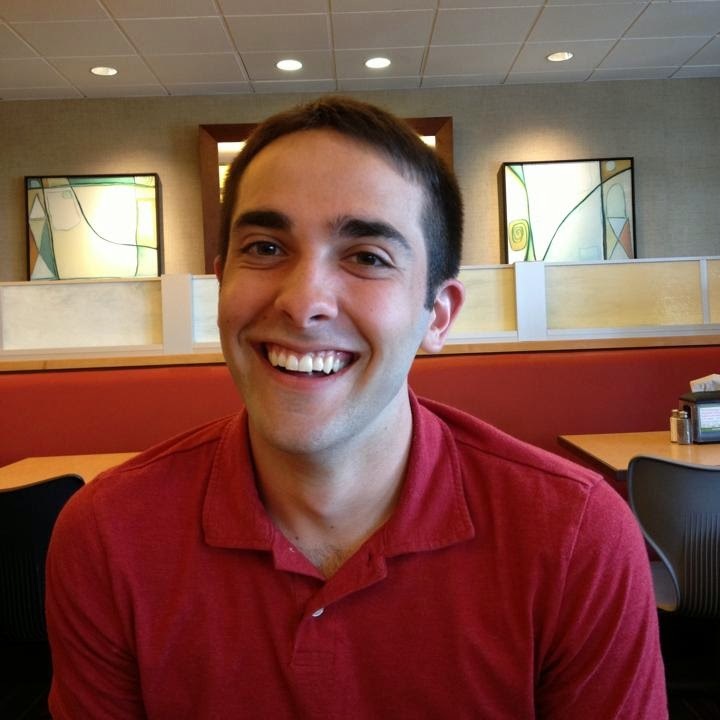 background in programming, I have always enjoyed making websites and develop social media tools in between college studies. Although the skills I learned from history may not be helpful at times when designing, they do give me an unique quality compared to some web designers. A background in humanities gives me different perspectives on subjects and design layouts while analysis skills allow me to read in between the lines of analytics. So that is one of the reasons why I am here with Save The Harbor / Save The Bay: to develop my skills and this great organization's online presence. I could say that is my only reason but then I would be misguiding you. The other major reason why I took the internship is that I love Boston, more specifically the historically significance and character of it. I certainly was not going to pass down an opportunity to learn more about the incredible harbor islands that unfortunately seem to be forgotten by Bostonians at times. 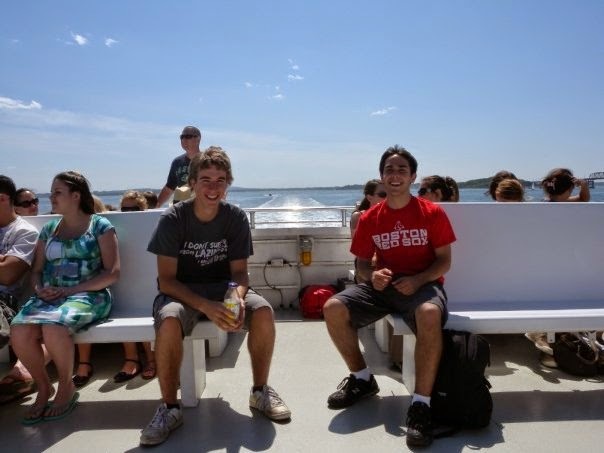 One of my favorite trips during the summer is going to one of the islands, especially Georges Island. To have a opportunity to promote the islands via a field (web design) that I really enjoy working in is a dream come true! Finally, one last thing that is not related to this internship but really shows who I am. I mentioned before that I am not one to stay within the mold, and so let me tell you about one of my favorite things to do in Boston. I play quidditch. Quidditch is a sport developed from the Harry Potter book series. The best way to describe it without seeing it played is to say that it is a combination of rugby, basketball, dodge ball, and flag football. 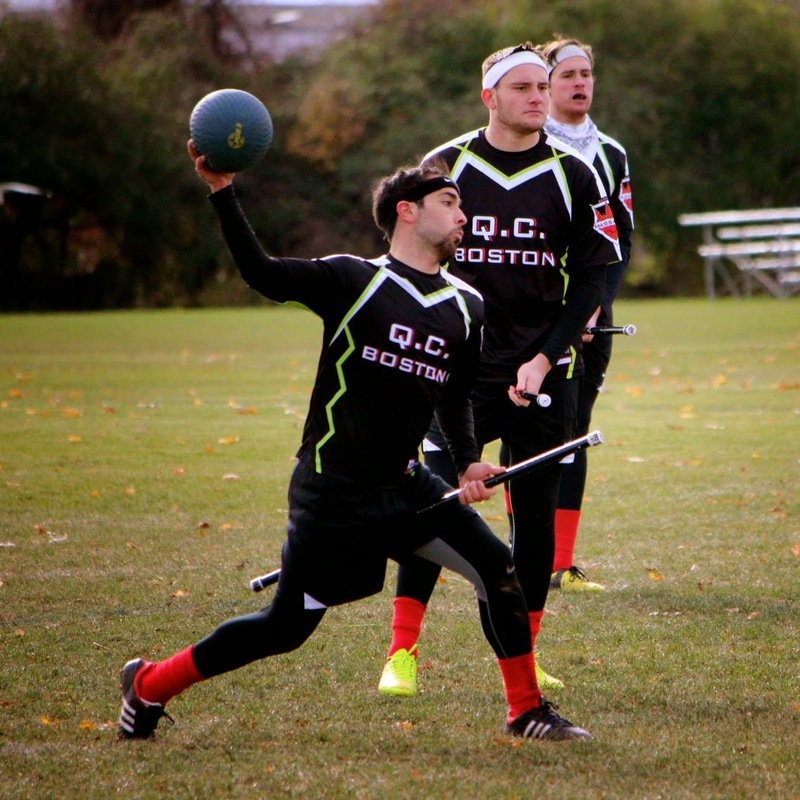 I played for Boston University for three years, was selected to play for Team USA in an international tournament this past summer (2014), and I currently play for QC Boston: The Massacre, which is a community team based out of Boston. Talk about something that does not fit the mold! But that is who I am, someone who loves trying out new things and challenging myself to get good at the things I enjoy doing. And who knows, maybe we will see some quidditch being played on the islands this summer! So that's a wrap! I am truly looking forward to this upcoming Spring as I work with Save The Harbor / Save The Bay develop their online presence and hope that come Summer, the islands will have a lot more visitors than in the past.